﻿ ASTM A423 Corten Steel Gr 1 Seamless Pipe, A423 Gr 1 Corten Steel Welded Pipes Exporter. 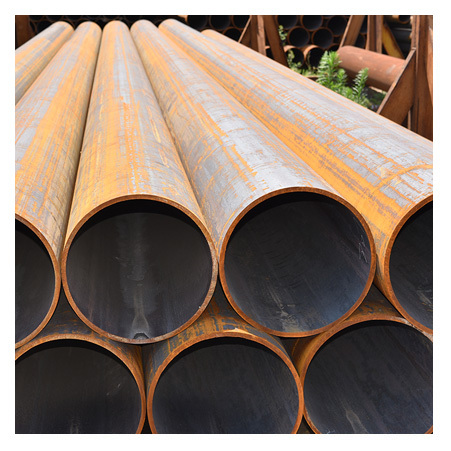 ASTM A423 Grade 1 Corten Steel Seamless Pipe, A423 Grade 1 Seamless Pipe Manufacturer, Corten Steel ASTM A423 Gr 1 Welded Pipe, Corten Steel Gr 1 Pipe Exporter, ASTM A423 A Gr 1 Corten Steel Pipe Supplier in Mumbai, India. 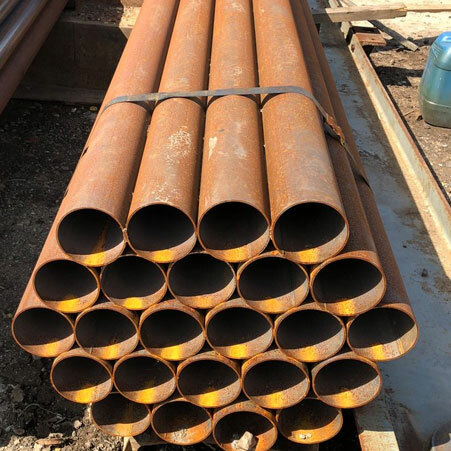 Amco metals are one of the top leading manufacturers, supplier, stockiest, exporter of the comprehensive range of Corten steel ASTM A423 A Gr.1 Pipes The company is offering the range that is including welded and seamless pipes and tubes. Corten steel tubes and pipes are where the highly corrosive atmosphere is there. Corton steel is known as the weathering steel. This steel is the group of steel that is created to do away with painting need and forming stable rust-like appearances when exposed to weather for several years. The material is resistant to corrosion that is left the uncoated builds the outer layer patina. It is safeguarding the metal from more rusting and corrosion. 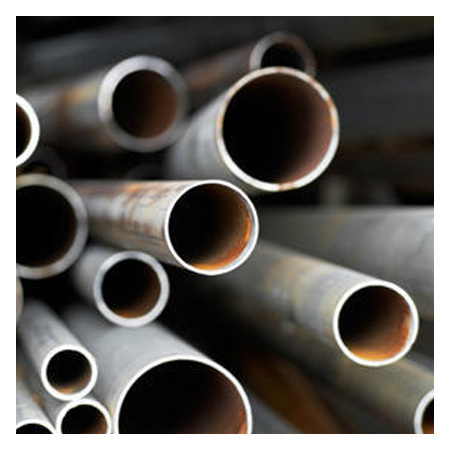 Corten steel ASTM A423 A Gr.1 Seamless Pipe is used widely in numerous applications. The supplier is providing the item custom made sizes and specifications as per the demand of buyers considering ASME, ASTM, AISI, JIS, DIN, EN and various other standards. The industry is aiming at offering buyers almost everything under the safe roof of good quality. The type in which it is available is round, square, hydraulic, honed, rectangle etc. In length, it is available as double, single random and cut length. Its ends are the beveled and plain end. To assure good quality of product supply various testing are done that satisfies the buyers. The testing is positive material identification test, heat treatment charts, pitting resistance test, intergranular corrosion test, macro test, micro test, flattening test, flaring test etc. You can buy it by specifying requirements to the dealer at industrial rates. ASTM A423 Gr.1 Corten Steel Pipes, Corten Steel A Grade 1 Pipe, Weathering Steel A423 A Gr 1 Seamless Pipes, A423 Gr 1 Corten Steel Pipe Manufacturer, A423 Gr.B Corten Steel Pressure Pipe Supplier. Nepal, Greece, Turkey, Poland, Bhutan, Azerbaijan, Belarus, Lithuania, Denmark, Jordan, Netherlands, Japan, Australia, Malaysia, Iran, Oman, India, Canada, United States, Portugal, United Arab Emirates, Trinidad & Tobago,Tunisia, Ghana, Belgium, Mexico, Poland, Brazil, Israel, Finland, Bahrain, Taiwan, Lebanon, Nigeria, France, Libya, Gabon, Pakistan, Zimbabwe, Angola, Vietnam, Venezuela, Argentina, Kuwait, Switzerland, Chile, Nigeria, United Kingdom, Russia, Germany, Slovakia, Afghanistan, Austria, Bangladesh, South Korea, Iran, Chile, Serbia, China, Philippines, Colombia, New Zealand, Costa Rica, Morocco, Hong Kong, Peru, Tibet, Czech Republic, Singapore, Ecuador, Bulgaria, Thailand, Estonia, Italy, South Africa, Mexico, Romania, Ireland, Yemen, Egypt, Qatar, Algeria, Ukraine, Sweden, Namibia, Bolivia, Croatia, Hungary, Iraq, Puerto Rico, Mongolia, Kenya, Kazakhstan, Gambia, Norway, Spain, Sri Lanka, Saudi Arabia, Indonesia, Macau. Chandigarh, Mumbai, Nashik, Brisbane, Ankara, Muscat, Bengaluru, Toronto, Aberdeen, Jakarta, Kolkata, Colombo, Kuwait City, Lahore, Doha, Calgary, Ho Chi Minh City, Singapore, Coimbatore, Noida, Bhopal, Indore, Surat, Ulsan, Rio de Janeiro, Caracas, Jaipur, Gurgaon, Pune, Faridabad, Baroda, Ahvaz, Visakhapatnam, Montreal, Riyadh, Petaling Jaya, New York, Edmonton, Haryana, Chennai, New Delhi, Al Jubail, Howrah, Geoje-si, Tehran, Thane, La Victoria, Ahmedabad, Ludhiana, Sharjah, Cairo, Los Angeles, Madrid, Moscow, Vadodara, Milan, Ernakulam, Secunderabad, Hyderabad, Algiers, Thiruvananthapuram, Al Khobar, Bogota, Vung Tau, London, Lagos, Port-of-Spain, Busan, Jamshedpur, Dallas, Perth, Chiyoda, Granada, Gimhae-si, Kuala Lumpur, Rajkot, Sydney, Istanbul, Abu Dhabi, Santiago, Atyrau, Jeddah, Karachi, Seoul, Hong Kong, Ranchi, Nagpur, Courbevoie, Pimpri-Chinchwad, Dammam, Navi Mumbai, Kanpur, Bangkok, Melbourne, Manama, Houston, Hanoi, Dubai, Mexico City.